p-jackie-amy, originally uploaded by oladybug0. My boyfriend is lovely and in addition to the Holga, he bought me a sweet little Fuji Mini Polaroid Camera, which takes the cutest little instant photos in the world. 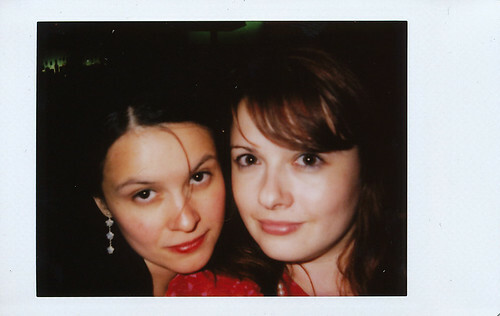 The Flickr set includes my girl Friday's birthday, a trip to Toronto (and the lovely Crystal) and some lovely London times. Oooh, I look a bit drunky. And I was! 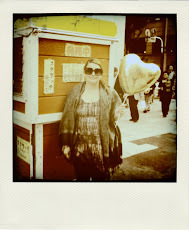 Have a fab time in San Fran - you should def take your polaroid with you!